Should You Be A Working Mom Or Stay Home With Your Kids? Spoiler alert: Only you can answer that question. But what I can help with is sharing my thoughts and the realities of the options, having experienced both and also being a self-proclaimed giver of un-biased opinions. 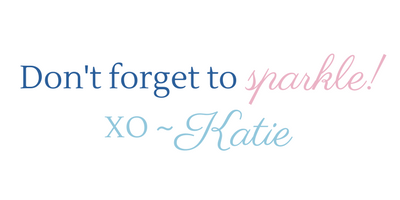 If you're a mom then you know the #1 thing we give up the day we realize we're pregnant is putting ourselves first. But mama let me tell you it's time to be a little selfish here. No matter your choice, your kids are gonna be okay. I know that because I know you mama, and you're going to make sure of that. The best thing you can do when it comes to this decision is to make sure you're doing what is going to make you the happiest. Because a fulfilled mom is the best kind of mom. No one can pour from an empty cup, and all that jazz. Let's back it up for a second so you know where I'm coming from. When my sweet baby girl was born I had been working full time for about three years. I was on maternity leave for almost 4 months, half of which were spent crying because #hormones and the other half crying because I would have to go back to work soon. When I returned to work I was there for about 6 months (2 of which were after I had made my decision that I wanted to stay home). And now I've been a stay at home mom for 5 months. 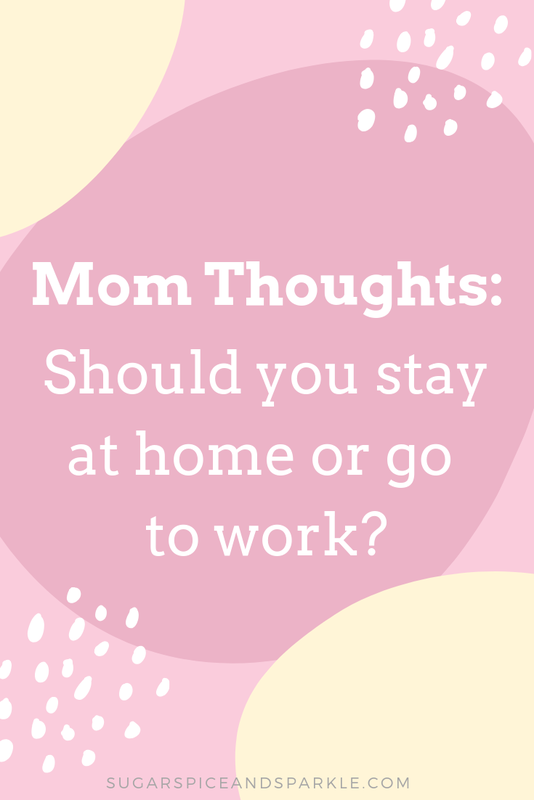 So as you can see I've had about an equal experience of being both a working mom and a stay at home mom, so it's a good time to go ahead and sit down to write out my thoughts on both. At work there were great days and there were days I dreamed of being home with my babe. Staying home there are great days and there are days I dream of having a full 9 hours away from my babe. That's why you have to decide for yourself what your priorities are, because either way there will be good days and hard days. Do you envision yourself with a C-level title? Do you like getting dressed and ready every morning? Do you enjoy working with others? Do you like eating lunch whenever you're hungry? Do you enjoy lavish vacations and expensive dinners out? Do you need your paycheck to support your family? If the answer to many of those questions is yes you probably should keep working. Do you want to see every developmental milestone your child has? Do you like seeing their eyes light up during story time at the library? Do you crave freedom to go to the store, the park, the mall, whenever you want? Do you want to be the one to teach your child new things and put them down for their naps? Are you prepared for the financial sacrifices that come with not working? If the answer to many of those questions is yes you probably should stay home. These are just a sample of the types of questions you should be asking yourself while making this decision. 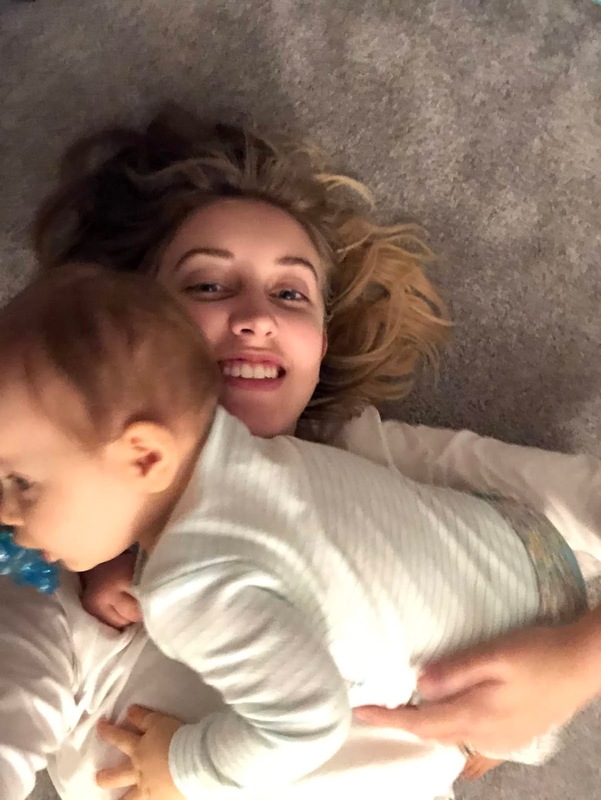 For me personally, I was lucky enough to have Avery staying with my mom while I was working, however, that was a temporary situation and it still killed me that someone else was with her more hours a week (M-F) than I was. As much as I loved (and asked for) the pictures and updates throughout the day, each one killed me a little knowing that I was watching my child grow up through text messages rather than having a front row seat. My first day home - afternoon walk! Nothing - and I mean nothing - fills me up more than hearing Avery giggle when I kiss her belly or seeing her smile at me when I praise her for learning something new. A single 'running toward me at full speed hug' cancels out a week of whining over teething or fighting naps for three days straight. Getting to stroll the mall on a Tuesday morning brings me actual joy (even if I can't afford a shopping spree like I used to). If what lights your heart up is positive feedback from your boss, a lunch with your bestie office pal, or taking your family on a week long vacation thanks to your annual bonus, then that is so great for you! It's not that I also didn't enjoy those things, it's just that I prioritize other stuff. 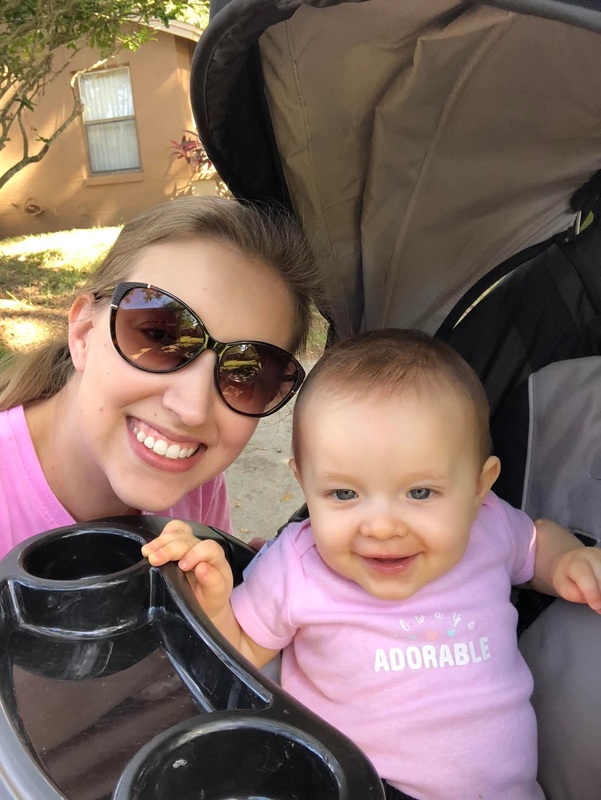 I'm not here to tell other moms they shouldn't prioritize their career, and I hope if you're a working mom reading this right now you're not judging me in some way either. But I still don't know what I want! My friend it is time for some soul searching. If this question has been on your mind and the answer isn't quite as black and white as I've laid it out here, then I'd recommend a good old fashioned pro con list. Write it down, pen and paper. I'd also suggest starting the list alone. While your husband will likely make the final decision with you (I mean, he should, it affects him too!) I think it's important to have the chance to be 100% honest with yourself before getting even your closest confidant's thoughts on the matter. Another topic I'll share about soon - the work at home mom, aka what I'm really attempting to be and a whole new level of chaos! More to come soon! Love all my time with this sweetheart!